This post was inspired by a thread on SportsLogos.net. 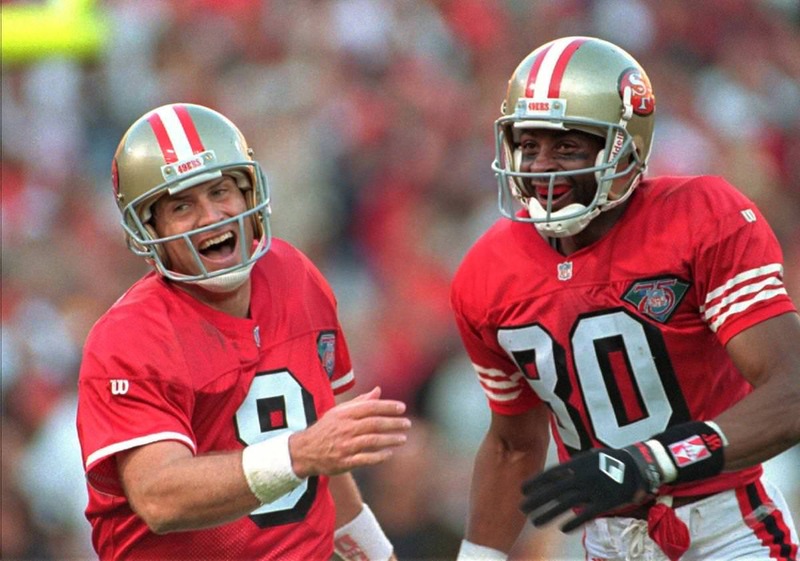 In 1996, the San Francisco 49ers introduced a new uniform set partially inspired by their 1994 throwbacks. These new uniform featured a new logo, drop shadows and white pants. One of the major changes was the addition of black to the helmet stripe. 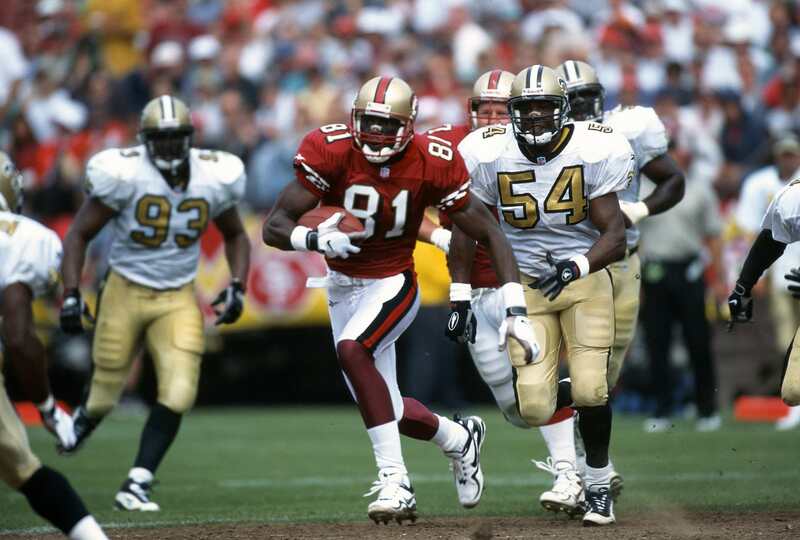 The 49ers removed the red-white-red helmet stripe and introduced a black-red-black stripe pattern to match the new white pants. It was a big change for a team whose success in gold (khaki) pants was very historic. But their most recent championship was worn with white pants. It was a different type of change. But it wouldn’t last long. 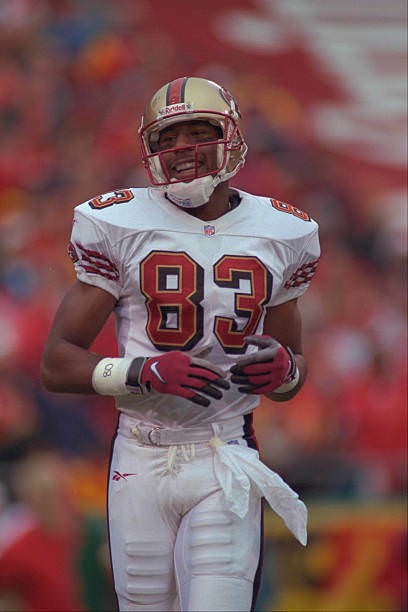 The 49ers kept this uniform set for only two seasons before making a significant (unannounced change) in 1998. 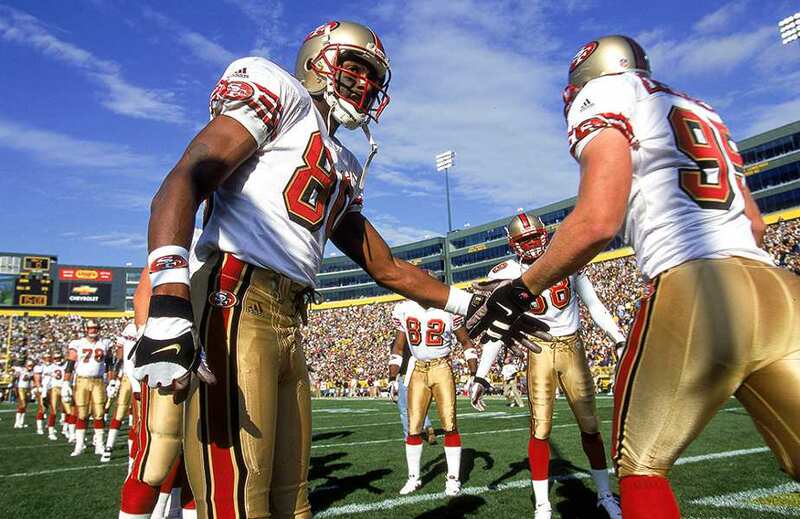 Debuting during Week 1 of the regular season (after having worn these new white pants during the preseason), the team introduced new gold pants which they would wear for the next decade. The new pants stripes matched the jersey numbers very well and it was a welcomed look after two years of white pants. 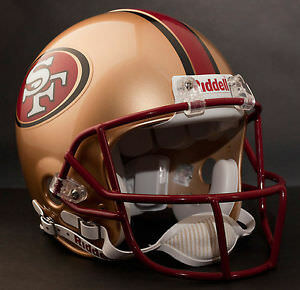 But with this new design, the 49ers encountered a new inconsistency that affected some of the players. 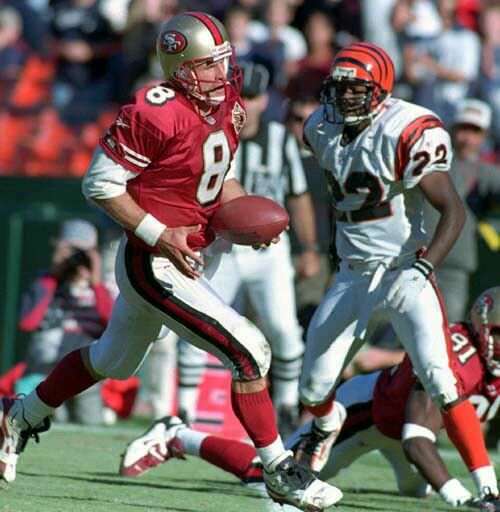 As mentioned, during the two seasons the 49ers wore the new white pants, the helmet stripes matched the pants stripes. But that was not the case for everyone. Several players on the team wore the Riddell VSR4 helmet style (which became common in the 1990s), which featured a raised portion of the helmet shell. You can tell by closeups of the helmet. 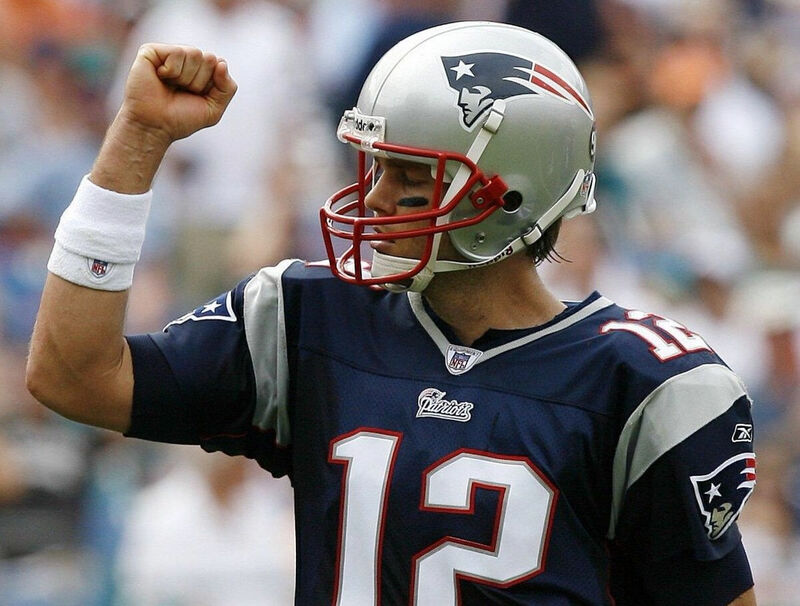 Even more evident is where you can see it on a helmet with no stripes, such as Tom Brady. With this design, several players’ helmet, from most angles, appeared to have stripes that were black-gold-red-gold-black. It’s that raised portion that isn’t covered by a stripe decal created the inconsistency. 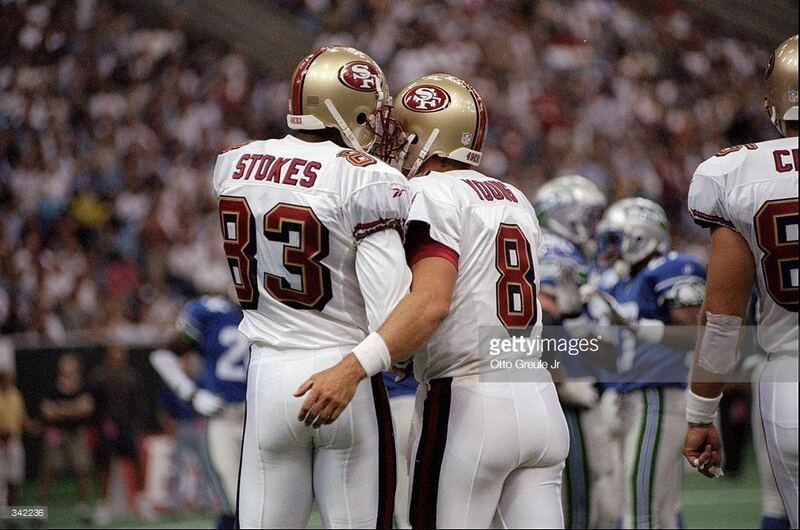 However, when the 1998 gold pants were introduced, those with the Riddell VSR4 helmets now had the stripe design that matched their pants. This became the case for the next decade. Was it coincidence? Intentional? But then there were players who wore different helmet designs, which did not provide the visual of the small gold stripe. That produced an inconsistent design look for players. It’s a very unique design element the 49ers had before their major overhaul in 2009. 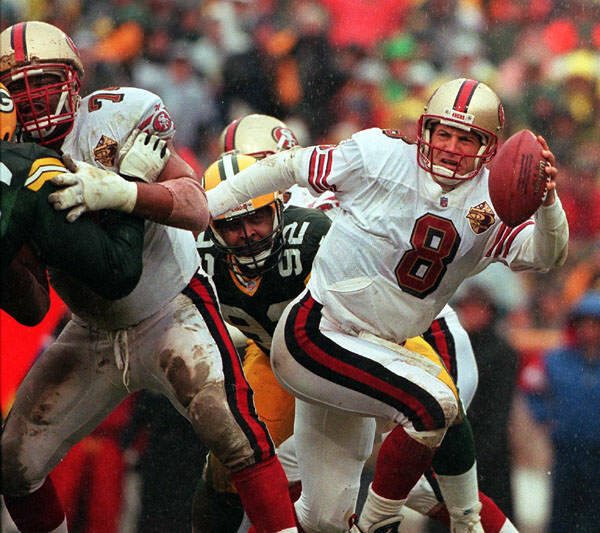 Going with their early contract issue in 1996 which led to inconsistent number fonts, it wasn’t the smoothest time for the 49ers’ uniform transition. It wasn’t very noticeable except for uniform geeks like myself. 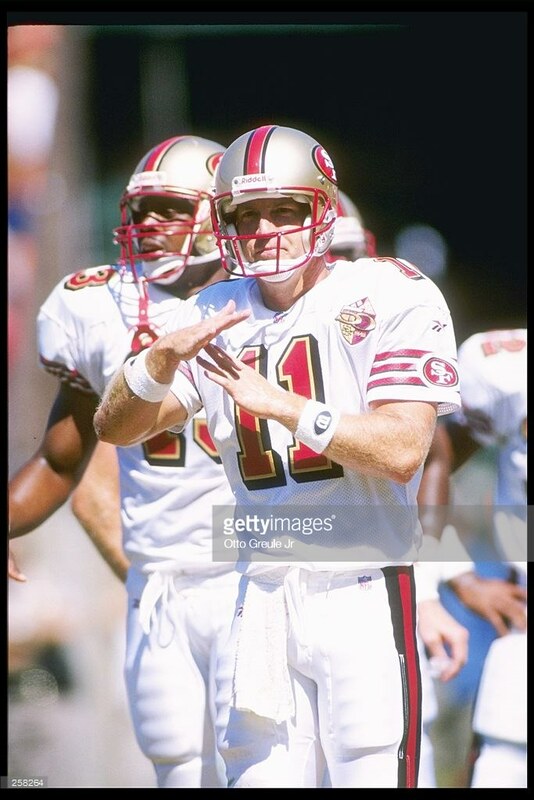 But after looking through these pictures again, I realized how much of a difference the thin gold stripes enhanced the uniform with gold pants. Without it, it just didn’t feel like it fit all too well. Under the style guide, the original black-red-black was the intended design. It was only by chance with the Riddell VSR4 helmet that their new gold pants were really complemented. 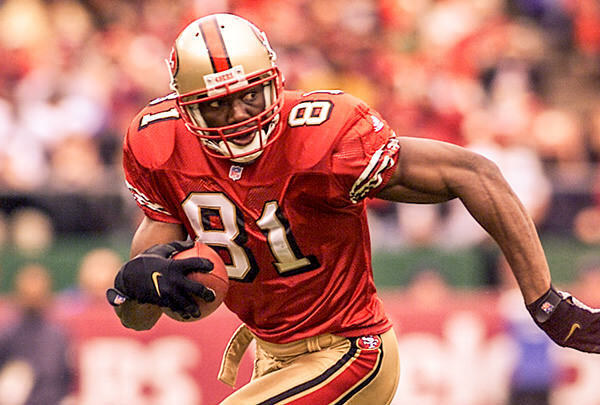 But since the team never made an official change to include the thin gold stripes, we will forever have these inconsistencies in 49ers uniform history. 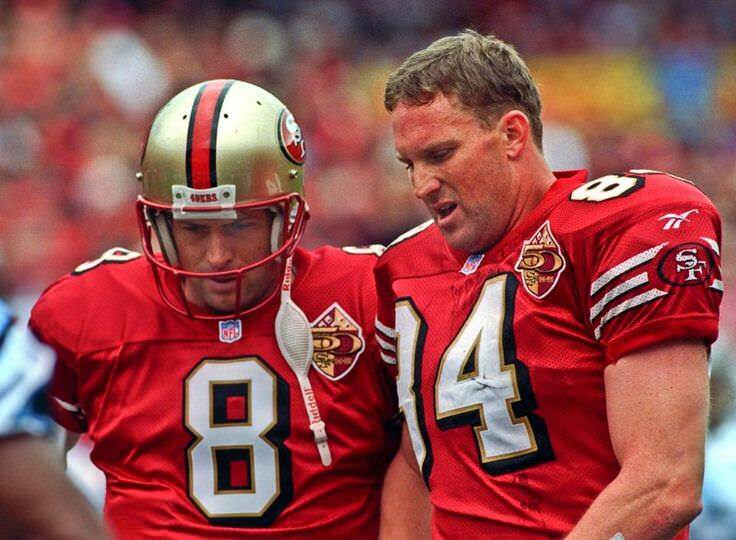 Did you ever notice this watching the 49ers in the 1990s? It’s fascinating how the players overall uniform look can be altered simply by the choice of helmet being worn. 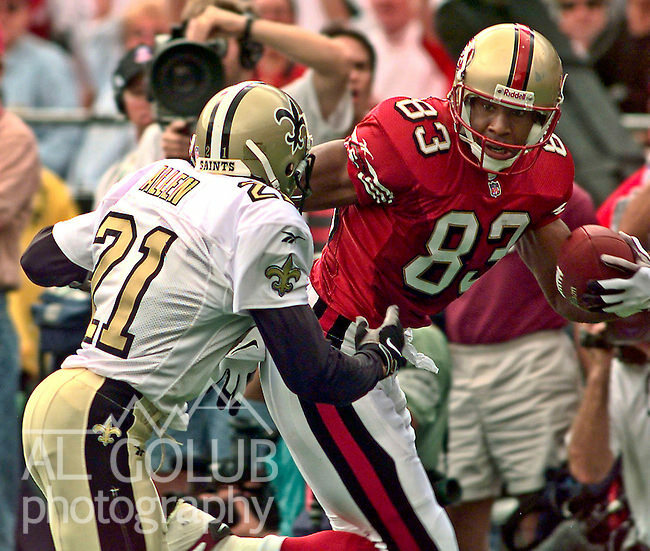 This entry was posted in NFL, Old Sets, San Francisco 49ers, Uniforms & Design. Bookmark the permalink.